This nostalgic wooden paper towel holder is a replica of famous Coca-Cola bottle sign of the 1920's - 30's. 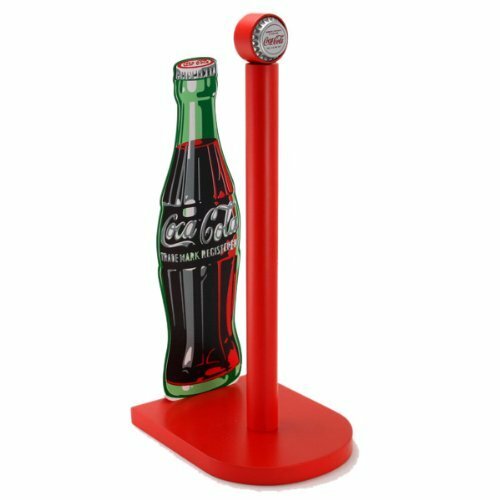 This sturdy wooden Coke towel holder features the classic bottle and bottle cap top. Size 5.19 inches x 6.77 inches x 13.5 inches. Looks great sitting by your kitchen sink, bar or game room, holding your favorite brand of paper towels Perfect for nostalgic kitchen decor. Also makes a great gift! Perfect for nostalgic kitchen decor or a great gift! If you have any questions about this product by Sunbelt Gifts, contact us by completing and submitting the form below. If you are looking for a specif part number, please include it with your message.